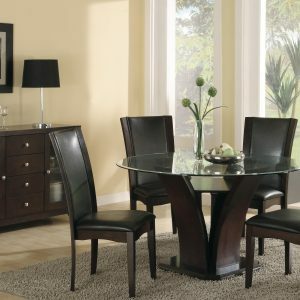 Make your family meals great again by adding this mid-century design to sweeten the experience! 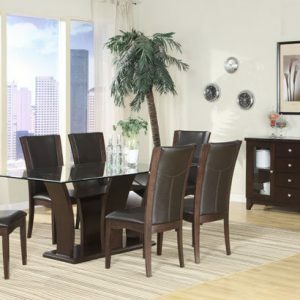 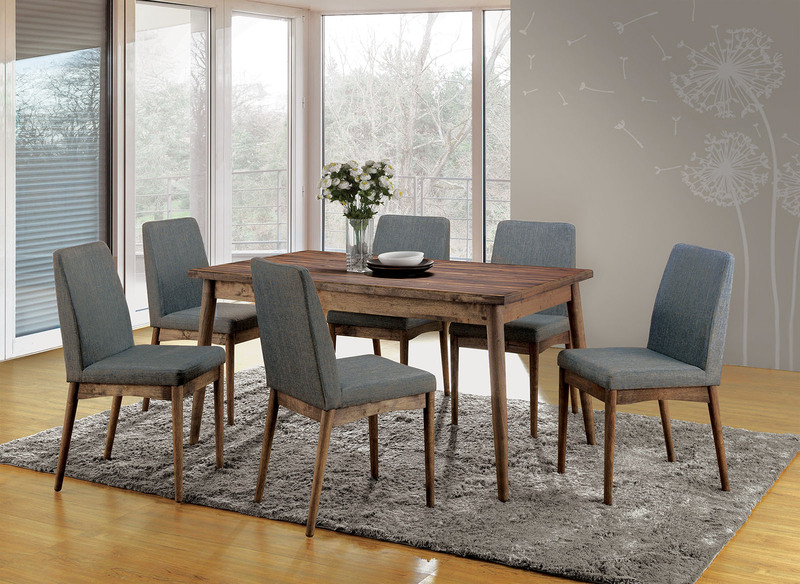 Slim, tapered wood legs support the plank style table top, off wearing both a chic appearance and quality support. 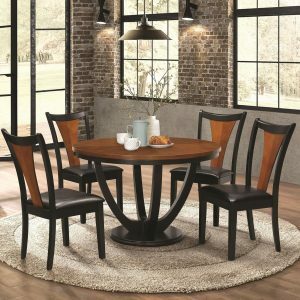 The matching side chairs feature padded fabric upholstery to provide an extra incentive to gather around for a great family dinner.